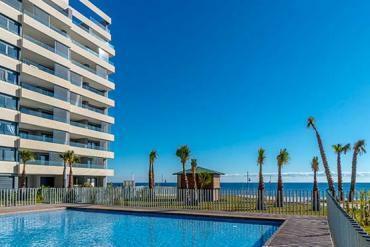 Selling a house in Orihuela Costa, Alicante, is easy with Casas Espania. Discover our selling service and get the highest profit selling your home. At Casas Espania we know how important is the decision of selling a house and we want that you get the best result possible. We provide you an excellent professional service, oriented to indentify the most remarkable features of your home in order to build solid sales arguments. Only having a good selling strategy is possible to increase the possibilities of success and at Casas Espania we know perfectly how to sell a property in Orihuela Costa in a fast way and getting the best result for you. We know the international property market and we are able to identify potential buyers for your house along Europe. At Casas Espania we follow successful sales techniques and tactics, based on finding the right potential buyer for each property. We can deal with interested particulars in order to manage all the negotiation process looking for the best agreement for you, and working to provide the best notoriety to your house by both online and conventional sales channels. Once a potential buyer shows interest by your house, we will be able to show its features using a professional style and implementing the most efficient techniques. Our agents have a deep knowledge about the characteristics of every market (Britain, Scandinavia, East Europe, etc.) and they talk several languages. So, selling a house in Orihuela Costa (Alicante) in an international context with Casas Espania will be a wise decision. Please, feel free to contact us today if you are considering selling a house in Orihuela Costa, Alicante. Rely on us and you will enjoy getting the highest possible profit.